One of the great opportunities for urban design and shaping equitable public space in Miami is in Wynwood. Historically, Wynwood has been a community for working-class families and more recently the centre of Miami?s burgeoning urban art scene. 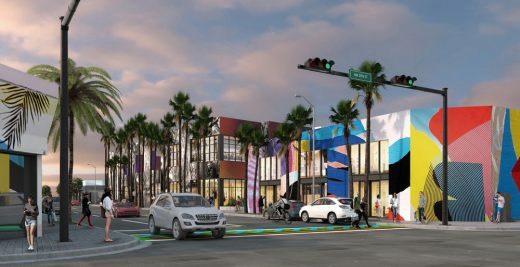 Oppenheim Architecture’s proposal intends to embrace the historic character of the warehouses and neighborhood while reclaiming empty the street front and embracing the new life and economy that is Wynwood?s future.